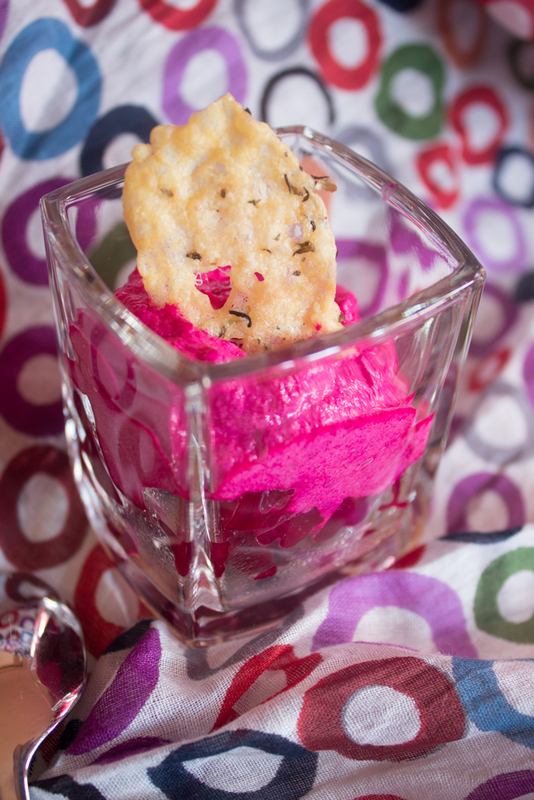 Verrine: Beetroot cream and parmesan chips! 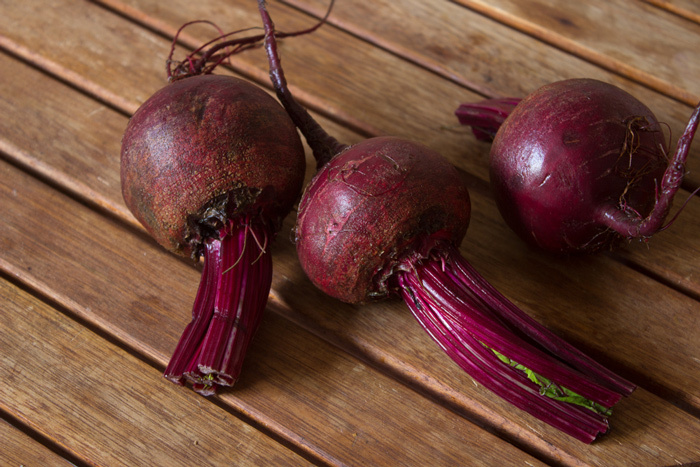 Beetroots give always a stunning color to verrines. I love flashy colors… As you know by now. Making verrines is not only about taste but also about assembling the best colors. Arranging a verrine is sometimes more related to art or fashion than cooking. 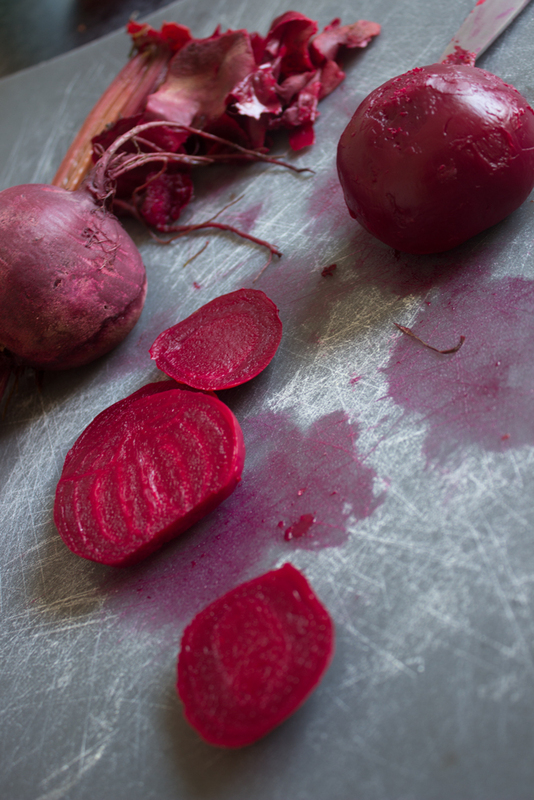 For this recipe I used fresh beetroots but you can always choose to buy some pre-cooked one in your local supermarket. 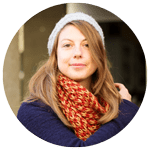 We always speak about home-made. True that’s taste better, but after an entire day at work sometimes you just want to be quick! Wash beetroots. Cut the tops leaving 10 cm. 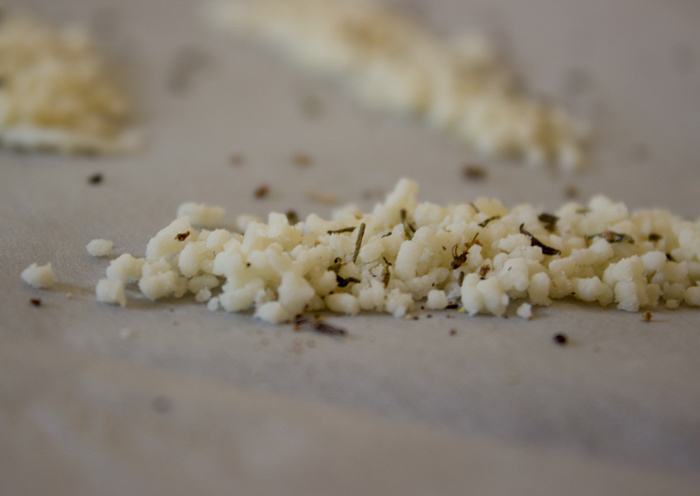 Place in your autocooker without peeling with ½ teaspoon of salt. Cook during 30 minutes. Preheat your oven to 200°C (400°F). 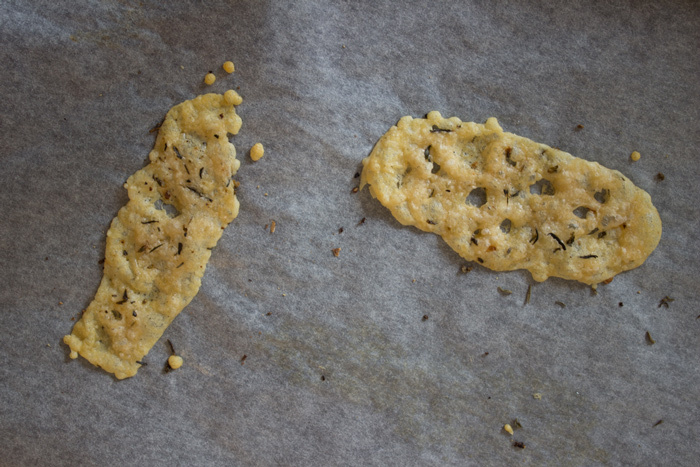 Place a greaseproof paper on a baking tray. Place 8 teaspoons of parmesan on the baking tray. Spread some pepper and thyme on top. Bake for 5 minutes. Remove from the oven and leave to cool on the backing tray. When chips are cold, remove carefully with a spatula. Peel and dice beetroots. Set one diced beetroot aside. Mix in an electric mixer the other beetroot with fresh cheese, cream, a bit of salt and pepper to obtain a colorful beetroot cream. 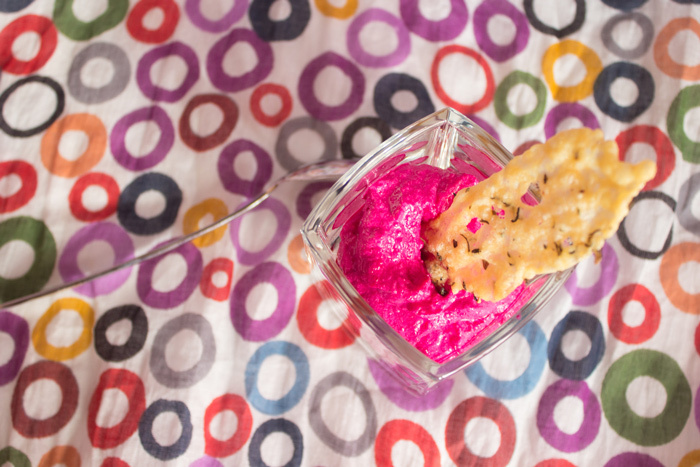 In each verrine add first a layer of diced beetroot then a layer of beetroot cream. Place in your fridge. When serving, add one chips on top of each verrine. Deliciosa. Me gusta tu receta y tu presentación.